The Closer to Truth site has been retired from pbs.org. 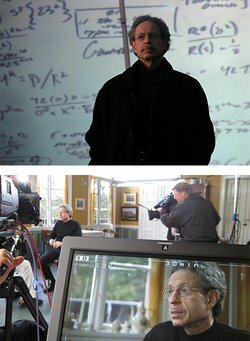 PBS Closer to Truth - Series Overview Learn more about the series that explores cosmos, consciousness and meaning. Closer to Truth The Closer To Truth television series is the definitive source for cosmos, consciousness and meaning. The series is a global journey in search of the vital ideas of existence airing on numerous PBS stations across the nation. Closer To Truth explores fundamental questions about the universe, brain/mind, religion and meaning through intimate conversations with leading scientists, philosophers, scholars, theologians and creative thinkers. By taking you into labs, libraries, gardens and sanctuaries across the globe, Closer To Truth brings riveting ideas to the forefront — making them relevant and engaging. Created and hosted by Robert Lawrence Kuhn and produced by Peter Getzels, Closer To Truth provides you personal access to the world’s greatest thinkers exploring humanity’s deepest questions. For more information about Closer to the Truth, visit www.closertotruth.com.